Exploring pro bono? 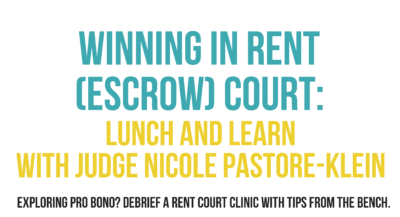 Debrief a rent court clinic with tips from the bench. This training is ideal for any experience level. 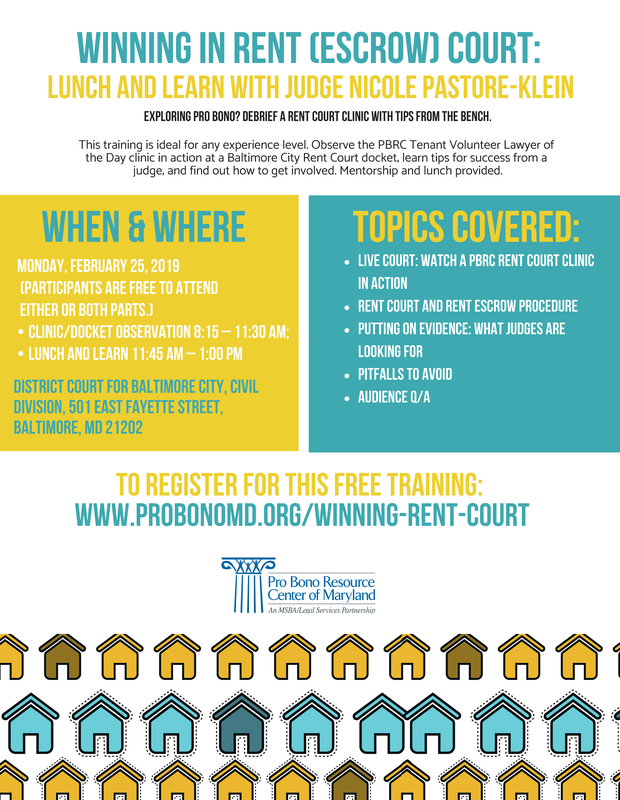 Observe the PBRC Tenant Volunteer Lawyer of the Day clinic in action at a Baltimore City Rent Court docket; learn tips for success from a judge; and find out how to get involved. Mentorship and lunch provided. Participation is open to attorneys. No pro bono commitment required. The TVLD Program is funded through a grant from the Administrative Office of the Court (“AOC”).